If you’ve been following you’ll notice there has been a lot of racing lately. Hawkeye Downs is the closest location to our new digs, it’s always fun to do events close by. Going to numerous events and locations is crucial for a few reasons, including variation and exposure. Variation gives you the opportunity to experience different surfaces, course designers, and competition. Exposure means you get a chance to meet new people and they get to meet you, if you’ve got sponsors or contingencies the more exposure the better! Exposure also means the people running the show remember your face/car, this is important if you’re looking to do more activities within the region/club. AutoX plays an important role in the amateur racing world, it’s a great place for people to get inexpensive exposure to safe competition. It’s also great for experienced drivers to hone and fine tune a separate set of skills that they rarely get to use. At the risk of sounding like a broken record, get out there and go autoxing. Find your region, find your local clubs and go racing. 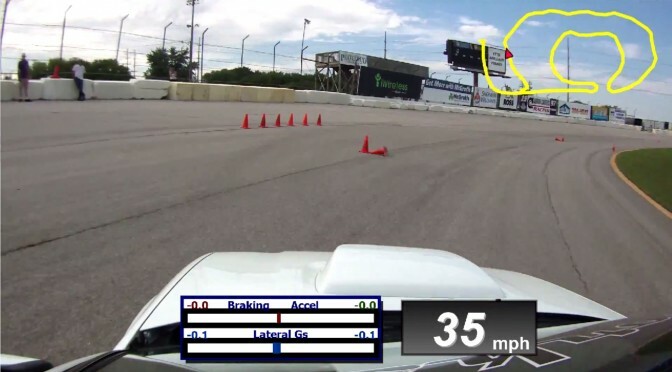 Lets talk about the Hawkeye Downs event hosted by the Iowa Region SCCA and watch some videos. 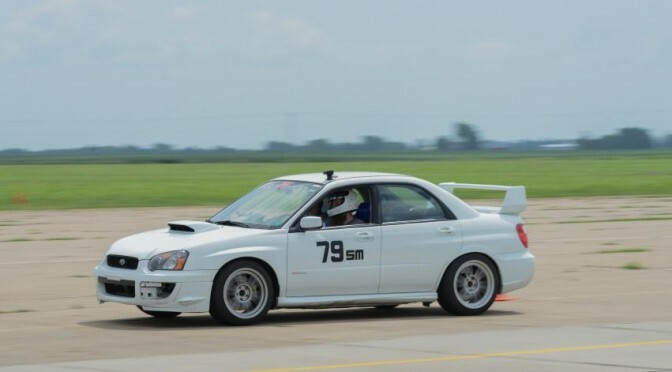 Iowa is a great state, it has great landscapes, there are these things called seasons (which I completely forgot about), a HUGE amount of America’s food is grown/raised here in Iowa, and there’s AutoX. LOTS of AUTOX. Plus it’s pretty close to Nebraska, I hear there is a big AutoX held somewhere in the expanses of Nebraska. This week on Autoxing in Iowa my Co-Driver and I went east towards the great Mississippi River. The Great River Region does events at the iWireless Center in Moline, IL. I drove over to Brian’s house bright and early to pick him up and then we were off towards the ole’muddy Mississippi. People like to make fun of smaller states in the Midwest, but they really are missing out on some amazing landscapes, and AutoXs. We’re back again with more Brembo clearance info. The Enkei RPF1 is a popular wheel choice, it comes in many different sizes. Unfortunately many of the popular sizes don’t clear the STI Brembo calipers. We’ve already gone over what’s needed to clear the 17×9 +35mm, 17×9.5 +38mm, and 18×10 +38mm. Next on the list is the Enkei RPF1 18×9.5 +38mm. 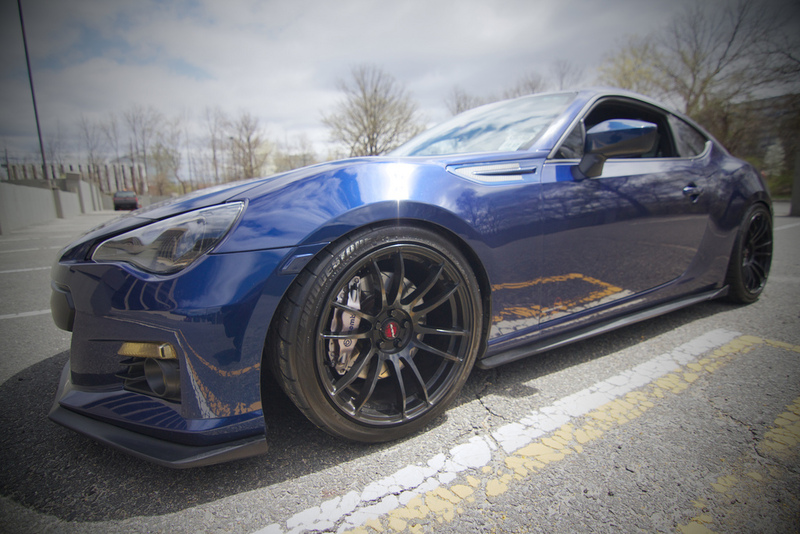 For the 18×9.5 +38mm Enkei RPF1 to clear the STI Brembos you’ll need an 8mm spacer. Luckily for the Subaru owners not running Brembos no spacers are required.